Regular readers of this site may recall last year's Lodi Native missive and it's gushing accolades for both the concept and its execution. It is without rival in terms of its innovation and efficacy. If wine a lover strives for the next big thing and/or pockets of unappreciated value, then this is a find that deserves pursuit. 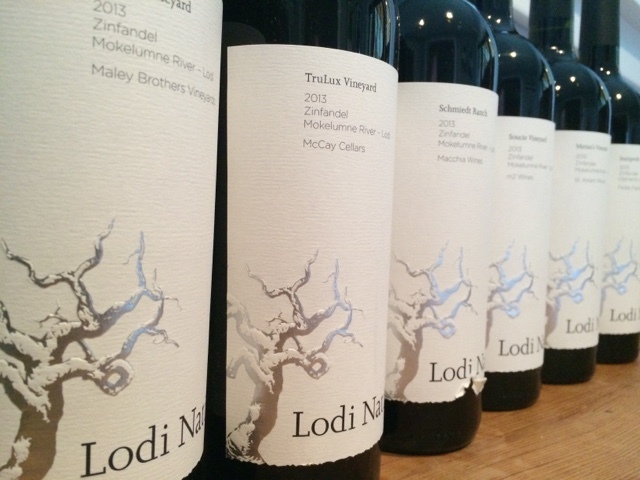 The concept, Lodi Native, is beautiful in its simplicity: a collaborative project by winegrowers and winemakers in the Mokelumne River sub-AVA of Lodi, each producing a one-off bottling of Zinfandel using minimalist winemaking protocols. The result: six bottles that focus on the taste of vineyards rather than varietal character or brand. Native yeast (non-inoculated) fermentations only, and no inoculation for malolactic fermentation. No acidification or de-acidification, no water addition or de-alcoholizing measures, and no tannin additions. No filtering, fining, or use of Mega-Purple, must concentration, etc. 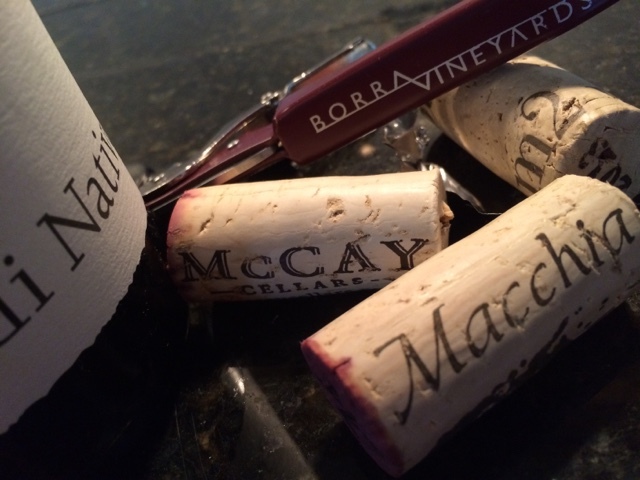 This long list of No's creates a level playing field, so to speak, and provides a baseline for Zin in this corner of Lodi - a terrifically unique sampling. If you want to understand what Zin from Lodi really is - and can be - this is as close as you can can get without sticking your nose into a ton of barrels. As experienced last year, members of the same band might all sing the same songs, but their voices are not the same. There's always a flamboyant, good-looking lead singer, and there's always a drummer. This crew is no different. Collectively, they sound great, though 2013 is trying hard to impress by comparison to 2012. But make no mistake, there is not just the potential in Lodi, but an energy to drive this region to higher heights. Let's hope that the commitment remains as popularity swells. And inviting and complex knows channels more than just fruit. It delivers high-pitched vegetables and dust, making for an interesting, if nearly piercing approach. The palate comes fast and hot on opening, speeding past home plate like a slider. Eases into a bathwater-like texture with still-excited spices dancing across the long finish, but never gets beyond lean in body or flavor. Come-hither aromatics give way to an initially jumpy attack that zigzags spice across the tongue. Texture is soft and plush, and the finish, like others in this lineup, lingers languorously the way a Sunday afternoon nap ought to. The briefest of time passed before it really opened up and filled out into a swan of wine. Lush and pleasurable. Zinfandel at a more basso profundo pitch than its siblings. Deep, blackstrap flavors coat the mouth with the potency of tar, but the lightness of fireflies. Soaring post-palate aromatics create expansive space for the fruit to sing. It's medium bodied frame is in curious contrast to the largess of experience. A little unbridled heat comes through towards the finish, but burns off with some air. In fact, breathing does wonders for this. The midsection fills in nicely with soft, round body without losing any of its high notes. The texture unwinds and becomes something comforting. Very nice indeed. There's something more exciting than the attendant Zinfandel fruit and pepper combo happening on the nose here. Neither herbaceous nor vegetal, it is a clean, appealing, and inviting aroma that channels polish. Elegance, even. Indeed, this is a bellwether of great things to come as the palate quickly reveals. This is a wine of serious substance, structure, and finesse. I had frankly not expected to find this in a lineup of zinfandels, but here it is in all of its sophisticated poise. Fresh, concentrated berry aromatics lead into a similar profile on the palate. The fruit is juicy and gregarious with lightweight framing in terms of acidity and structure. Very soft mouth feel accompanied by spicy high notes on the finish. Marvelous. Zinfandel fidelity in full surround sound. Seamless, supple texture, fine structured acidity, and a finish that goes and goes and goes. Soaring high notes and beckoning tannins make this irresistible. No decanted required - as it eases it turns into a boozy adult nectar. Fantastic experience.